While Norway isn’t often spoken of as a hub for internationally celebrated hip hop artists, almost no one has drawn as much global attention to the Scandinavian scene as Madcon. Though the timeless charm and astounding success of their 2007 cover of The Four Seasons’ “Beggin” has forever reserved the group a place in pop-radio playlists, their proven blend of precise, unforgettable flows and spirited, uplifting instrumentals have steadily propelled them to new heights, leading to a collaboration with global superstar Kelly Rowland on the life-affirming 2013 hit “One Life”. The duo of Yosef Wolde-Mariam and Shawe Baqwa, whose name is an abbreviation of Mad Conspiracy, first emerged with the single “God Forgive Me”, an instant classic based around a cinematic, orchestral beat and impassioned lyrical delivery. Achieving their first commercial success after featuring on Paperboys’ “Barcelona”, Madcon released their debut 2004 album It’s All A Madcon to critical acclaim, securing the duo a Norwegian Grammy Award. They continued to enjoy a feverish national reception with their follow-up LP So Dark The Con Of Man, which earned platinum status in just three days, leaving an indelible mark on modern pop with the 2007 smash hit “Beggin”. The track sat at No 1 on charts throughout Europe and No 2 on the European Billboard Hot 100, featuring repeatedly in globally successful dance movies like Step Up 3 and receiving more than 26 million plays on YouTube alone. Maintaining pace and motivation after hit singles of this magnitude has proven difficult, if not impossible, for many acts. 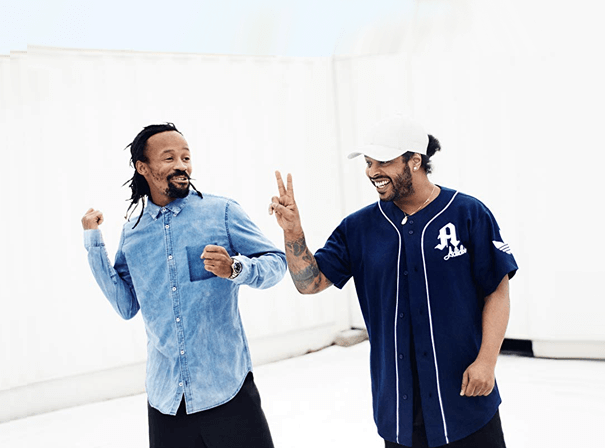 Madcon, however, have continued to build on their initial success, with the release of a total of 7 studio albums: most recently, they issued the joyous love song “Callin You” on Warner Music Germany.